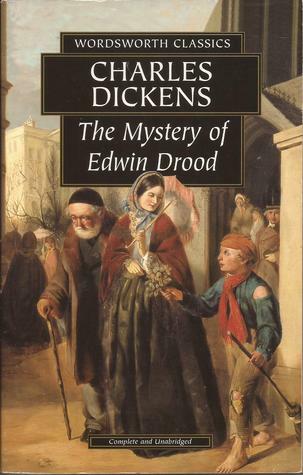 I have recently watched the television adaptation of Charles Dickens unfinished novel The Mystery of Edwin Drood. The novel features an opium user named John Jasper who starts hallucinating about strangling his nephew, Edwin Drood, while in a London opium den. The next evening, his nephew Edwin Drood pays him a visit , at Cloisterham Cathedral. Edwin confides that he has misgivings about his betrothal to Rosa Bud. The next day, Edwin visits Rosa at the Nuns’ House. Elsewhere Neville Landless and his twin sister Helena arrive at Cloisterham from Ceylon (Sri Lanka) for their education. Neville stays with minor canon, Rev. Mr. Crisparkle; while Helena stays at the Nuns’ House with Rosa. Reverend Crisparkle and his mother invite Edwin and Rosa to meet Jasper and Rosa. Neville is immediately smitten with Rosa as is Jasper who covets Edwin Drood’s fiancee Rosa. Neville and Edwin have a disagreement. Elsewhere Rosa discovers from her guardian Mr Grewgious that she has a substantial Inheritance and Mr. Grewgious gives Edwin a ring to give to Rosa to show his commitment, However Rosa and Edwin amicably end their engagement with Edwin intending to return the ring to Mr. Grewgious. Unfortunately, Jasper, is angered by this. Rev. Mr Crisparkle tries to reconcile, Neville and Edwin by inviting them to Dinner on Christmas Eve at Mr Jaspers house. Edwin then meets a woman who is an opium user from London who informs him that He is in great danger. Drood and Neville Landless reconcile their differences. However The next morning Edwin goes missing and Jasper spreads suspicion that Neville has killed him. At first everyone suspects that Neville has murdered Edwin, however Neville professes his innocence and Mr Grewgious vouches for him. Then, Deputy, a street urchin who is Durdles’ little helper, finds the ring discarded on the graveyard floor. While defending Neville’s innocence against Jasper’s accusations, the twins confess that they did not come to Cloisterham to further their education but to find their father, the late Edwin Drood Sr. As Edwin Jr was their brother, they argued, Neville had no cause to murder him. Jasper refutes their claims, but Mr Grewgious begins to look into it, assisted by Neville and Grewgious’s clerk, Bazzard. Best known for his Elric of Melniboné, Fantasy novels, the prolific English Fantasy and Science Fiction author Michael John Moorcock was born 18 December 1939. in London in 1939 and the landscape of London, particularly the area of Notting Hill Gate and Ladbroke Grove, is an important influence in some of his fiction (the Cornelius novels). Moorcock was inspired by The Gods of Mars by Edgar Rice Burroughs, The Apple Cart by George Bernard Shaw and The Constable of St. Nicholas by Edwin Lester Arnold and The first book he bought was a second hand copy of The Pilgrim’s Progress.He is also the former husband of Jill Riches, who later married Robert Calvert. She illustrated some of Moorcock’s book covers, including the Gloriana dustjacket. He was an original member of the Swordsmen and Sorcerers’ Guild of America (SAGA), a loose-knit group of eight heroic fantasy authors founded in the 1960s and led by Lin Carter, self-selected by fantasy credentials alone. The first Science Fiction magazine Amazing Stories was originally launched In 1926, by Hugo Gernsback launched Amazing Stories, the first science fiction magazine.It was soon followed by other US titles also specialising in sf, such as Astounding Stories and Wonder Stories. These were distributed in the UK, and British fan organisations began to appear. In 1936, Maurice K. Hanson, a science fiction fan living in Nuneaton, founded a fanzine called Novae Terrae (Latin for “new lands” or “new worlds”) for the local branch of the Science Fiction League. Hanson moved to London and his fanzine became the official publication of the Science Fiction Association, founded in 1937. New Worlds was a British science fiction magazine that began in 1936 as a fanzine called Novae Terrae. John Carnell, who became Novae Terrae’s editor in 1939, renamed it New Worlds that year. He was instrumental in turning it into a professional publication in 1946 and was the first editor of the new incarnation. It became the leading UK science fiction magazine; the period to 1960 has been described by science fiction historian Mike Ashley as the magazine’s “Golden Age”. Sadly Pendulum went bankrupt in late 1947. A group of science fiction fans formed a company called Nova Publications to revive the magazine; the first issue under their management appeared in mid-1949. New Worlds continued to appear on a regular basis until issue 20, published in early 1953, nd following which a change of printers led to a hiatus in publication. In early 1954, when Maclaren & Sons acquired control of Nova Publications, the magazine returned to a stable monthly schedule. Michael Moorcock became editor of the British science fiction magazine New Worlds, from May 19 1964 until March 1971. By the end of 1966 financial problems with their distributor led Roberts & Vinter to abandon New Worlds, but with the aid of an Arts Council grant obtained by Brian Aldiss, Moorcock was able to publish the magazine independently. He featured a good deal of experimental and avant-garde material, and New Worlds became the focus of the “New Wave” of science fiction. Reaction among the science fiction community was mixed, with partisans and opponents of the New Wave debating the merits of New Worlds in the columns of fanzines such as Zenith-Speculation. Several of the regular contributors during this period, including Brian Aldiss, J. G. Ballard, Thomas M. Disch and Moorcock himself became major names in the field. By 1970 Moorcock was too deeply in debt to be able to continue with the magazine, and it became a paperback quarterly after issue 2010. Moorcock was also editor for New Worlds from 1976 to 1996. New Worlds has been revived multiple times, with Moorcock’s direct involvement or approval; by 2012, 21 additional issues had appeared in various formats, including several anthologies. Michael Moorcock is also a successful recording musician, Having collaborated with the British Progressive rock band Hawkwind on many occasions: such as “The Black Corridor”, which, includes verbatim quotes from Moorcock’s novel of the same name, and Moorcock also worked with Hawkwind on their album Warrior on the Edge of Time, for which he earned a gold disc. Moorcock also wrote the lyrics to “Sonic Attack”, a Sci-Fi satire of the public information broadcast, that was part of Hawkwind’s Space Ritual set. Hawkwind’s album The Chronicle of the Black Sword was largely based on the Elric novels. Moorcock hax appeared on stage with the band and can also be seen performing on the DVD version of Chronicle of the Black Sword. Moorcock also collaborated with former Hawkwind frontman and resident poet, Robert Calvert (who gave the chilling declamation of “Sonic Attack”), on Calvert’s albums Lucky Leif and the Longships and Hype, playing guitar and banjo and singing background vocals. Moorcock also has his own music project, which records under the name Michael Moorcock & The Deep Fix. The first single from the band was “Starcruiser/Dodgem Dude”. The first album New Worlds Fair was released in 1975. The album included a number of Hawkwind regulars in the credits. A second version of the album Roller Coaster Holiday was issued in 2004. In 2008, The Entropy Tango & Gloriana Demo Sessions was released. These were sessions for planned albums based on two of his novels: Gloriana, or The Unfulfill’d Queen, and The Entropy Tango. The albums were never completed. (The Deep Fix was the title story of an obscure collection of short stories by James Colvin published in the 1960s. The Deep Fix was also the fictional band fronted by Moorcock’s character Jerry Cornelius.) Working with Martin Stone he has recently been recording an album in Paris, Live From the Terminal Cafe. Following Stone’s death in 2016, he plans to complete the album in Austin, Texas. Moorcock wrote the lyrics to three album tracks by the American band Blue Öyster Cult: “Black Blade”, referring to the sword Stormbringer in the Elric books, “Veteran of the Psychic Wars”, showing us Elric’s emotions at a critical point of his story (this song may also refer to the “Warriors at the Edge of Time”, which figure heavily in Moorcock’s novels about John Daker; at one point his novel The Dragon in the Sword they call themselves the “veterans of a thousand psychic wars”), and “The Great Sun Jester”, about his friend, the poet Bill Butler, who died of a drug overdose. Moorcock has performed live with BÖC (in 1987 at the Atlanta, GA Dragon Con Convention) and Hawkwind. Moorcock appeared on five tracks on the Spirits Burning CD Alien Injection, released in 2008. singing lead vocals and playing guitar and mandolin. He also contributed vocals and harmonica to Albert Bouchard’s tribute album to his novel An Alien Heat. He has also narrated audiobooks Of the Elric novels, The second audiobook in the series – The Sailor on the Seas of Fate – was published in 2007. 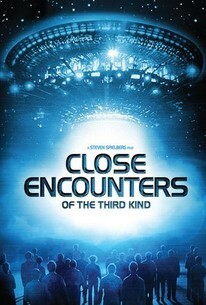 In 2005, Spielberg directed a modern adaptation of War of the Worlds based on the H. G. Wells book of the same name which starred Tom Cruise and Dakota Fanning. 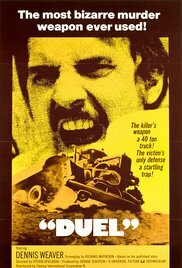 Steven Spielberg’s next film Munich, was about the events following the Massacre of Israeli athletes at the 1972 Olympic Games in Munich. 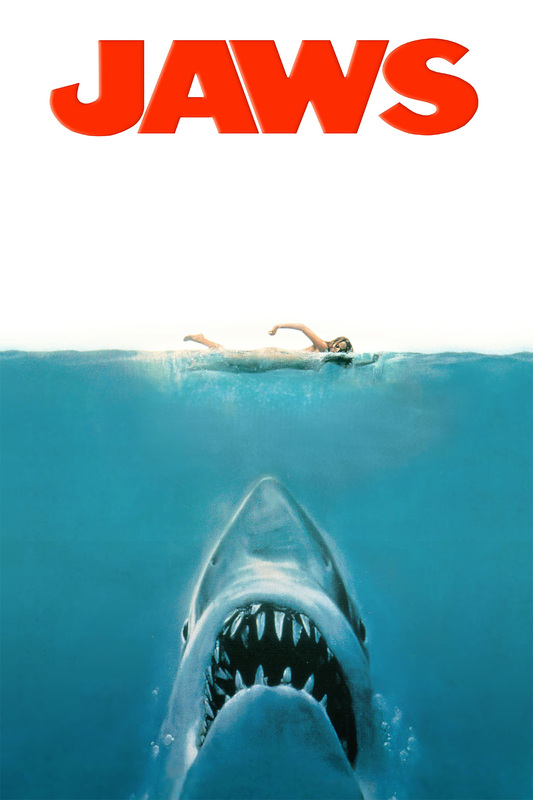 It received five Academy Awards nominations & was Spielberg’s sixth Best Director nomination and fifth Best Picture nomination. 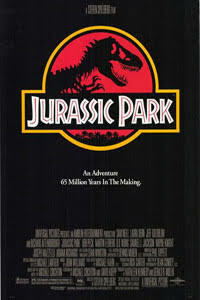 Spielberg next film was Indiana Jones and the Kingdom of the Crystal Skull. Next Spielberg shot a film based on The Adventures of Tintin & followed that with War Horse, based on the novel by Michael Morpurgo, which was nominated for six Academy Awards including Best Picture. Spielberg then directed the historical drama film Lincoln, starring Daniel Day-Lewis as United States President Abraham Lincoln and Sally Field as Mary Todd Lincoln. The film is Based on Doris Kearns Goodwin’s bestseller Team of Rivals: The Political Genius of Abraham Lincoln, which covers the final four months of Lincoln’s life and was released 2013. 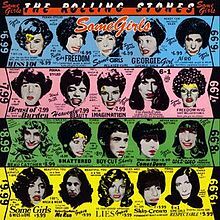 The Rolling Stones next studio album 1994′s Voodoo Lounge, went double platinum in the US. and went on to win the 1995 Grammy Award for Best Rock Album.The Rolling Stones ended the 1990s with the album Bridges to Babylon which was released in 1997. In 2002, the band released Forty Licks, a greatest hits double album, to mark their forty years as a band. 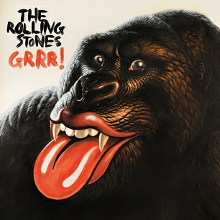 On 12th November 2012 The Rolling Stones released the album Grrrr to celebrate their 50th anniversary and made a documentary called Crossfire Hurricane and they also played at Glastonbury Music Festival. 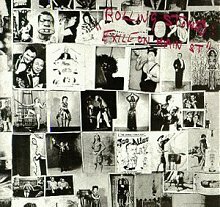 The Rolling Stones latest album Blue and Lonesome is a collection of Blues Covers and was released in 2016. 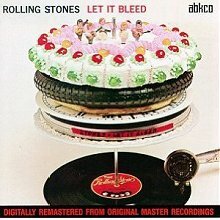 The Rolling Stones are one of the of the most commercially successful and critically acclaimed acts in the history of popular music and In early 1989, the Rolling Stones, including Mick Taylor, Ronnie Wood and Ian Stewart (posthumously), were inducted into the American Rock and Roll Hall of Fame. Q magazine also named them one of the “50 Bands To See Before You Die”, and popular consensus has accorded them the title of the “World’s Greatest Rock and Roll Band.” Rolling Stone magazine ranked them 4th on their “100 Greatest Artists of All Time” list.